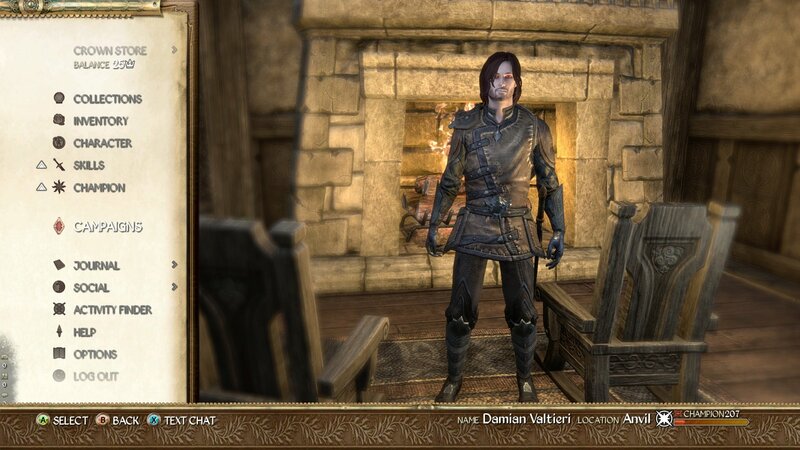 Texture overhaul mod that gives the UI a TES4 aesthetic. Should be compatible with any UI mods that don't change textures and in theory should work forever unless Zenimax changes way ui works. 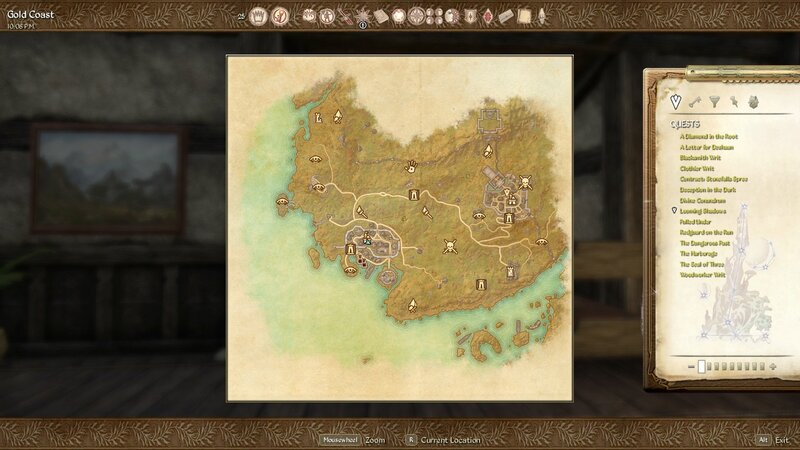 Drag and drop "OblivionStyleHud" into your ESO addons folder. Feel free to use this and all it's files as a resource for other addons as well as make your own changes. No need for permission just be sure to credit. For anyone that would like vanilla fonts I added a version to the optional folder for vanilla fonts. Just replace the file. I'd like to add it to the addons menu as well but I'm not very skilled in lua. I may look into it. Is there a possibility you make this adaptations? Keyboard Vs. 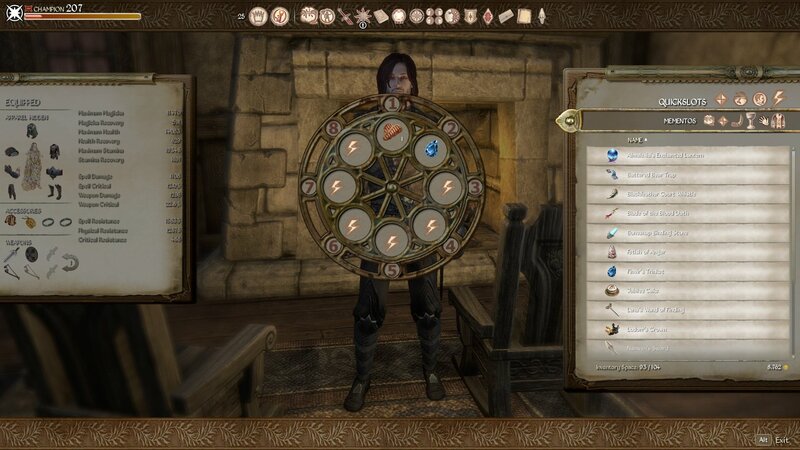 Controller: Quickslot/Emotes GUI wheel. I've gotta say I LOVE THIS MOD! I really do enjoy what you've done here. for an awesome game. 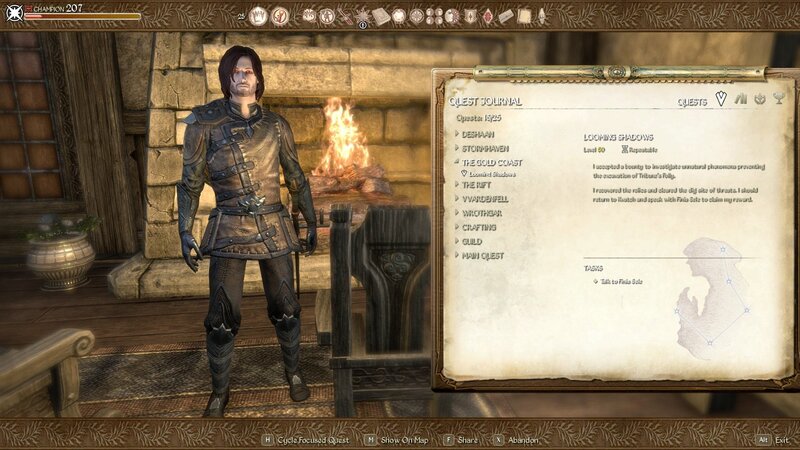 And the whole Oblivion style is just all the more fitting I think! But I've noticed that when I play with my keyboard and open my "Quickslots"
wheel I get this awesome G.U.I that looks like its been inspired by Oblivion. my controller turned on when I open the same Quickslot wheel. Nor do I get it with the Emotes wheel. Is there a way to get that to work? How do I disable the new fonts and the map Icons. 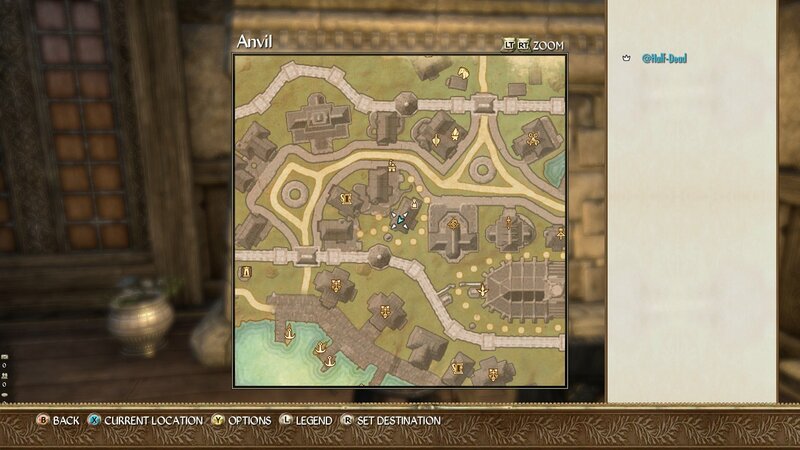 They're nice but I preferred the old vanilla eso font and icons. I was using an older version but I keep getting crashes and wasn't sure if that was causing them. I also would like a way to disable the new fonts. I find them a bit hard to read, unfortunately. Tried using pawksickles but it does't seem to override the changes made by this addon. Last edited by Godric : 05/06/18 at 06:56 PM. Is this GUI mod still being updated? Install the LibMedia Provider (aka "LMP") and LMP MediaStash addons (you can find them on here or via Minion). Check the INSTRUCTIONS doc that comes with LMP MediaStash. If you are using PC-Windows there should be a batch file that'll run to register your font. Seriously tho, read those instructions. Once this is set up, in-game you can use the Addons menu to start changing the game's fonts to Kingthings as you prefer (there'll be some trial and error involved). I think the deal is that Pawksicles pulls font data from LMP, and LMP looks at LMP MediaStash for non-standard fonts you may have added. Be patient, some of these addons are old/not entirely supported by the addon writers anymore. I remove this add on completely and manually, But the ui menu and inventory still appears as active. Any ideas? UPDATE: Never mind, I just relaunch the whole game and done, the fix was made. Last edited by VerusFilius : 05/12/17 at 07:29 PM. Eventually figured it out using LMP Media Stash/editing LibMediaProvider. If you landed on this comment section trying to figure out how the HELL to make new fonts work, feel free to message me. Love the UI and got pawsickles installed.Can someone tell me how to add the kings font to pawsickles and what fonts do I change in game via pawsickles? All of them or just select ones? 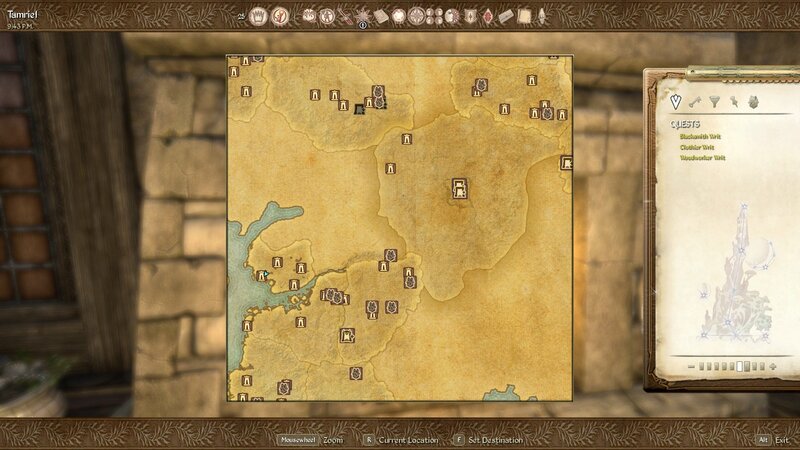 I love this addon (just discovered it a day or two ago) but having a similar problem adding Kingsthings Exeter. Did you figure this out? I dl'ed Exeter, installed it to my system, and then tried both dropping the .ttf font file in the Pawksicles addon's "fonts" folder as well as editing a new entry in the Lua file's list of the DejaVu fonts. No joy. 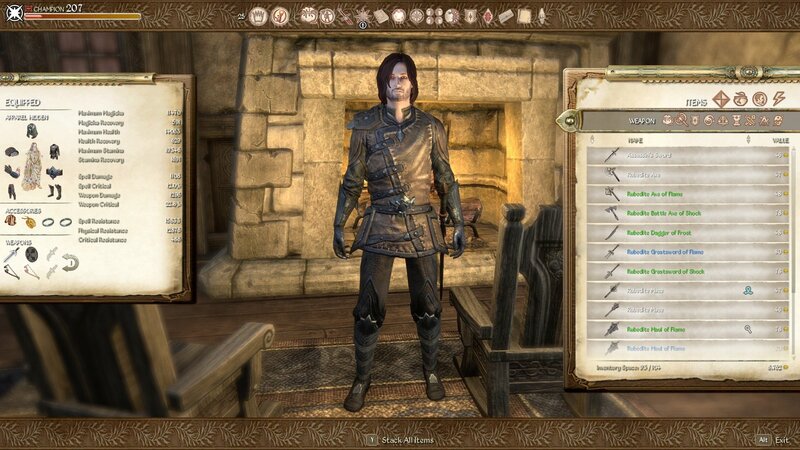 Is there something I have to set in the Oblivion Style UI addon? As far as Pawksicles goes, it requires some surgery in the in-game Addon menu and you can individually set every single game font from the list of fonts included (...assuming you can add Exeter...). 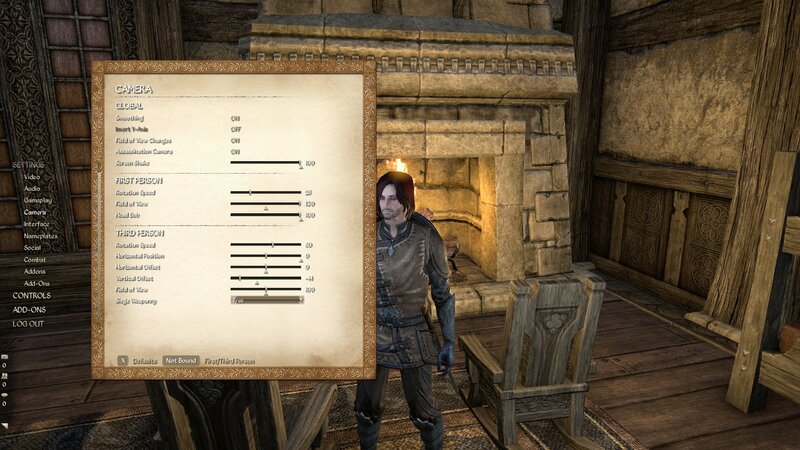 It's kind of a pain to eyeball your UI results but for those not coders/intimately familiar with ESO's text settings it's probably best to do trial and error in-game. Last edited by Infidelzombie : 02/11/17 at 10:51 AM. Find out how to. It worked as your reply and the comment in the description. (I had to put my mind in a puzzle mode) The thing is that I was doing it in the wrong way, with the positioning of the files. Although, now I am trying to work the font to work. UPDATE: I have found this issue with the conversation hud: Do not know if it is a known issue. Last edited by VerusFilius : 02/09/17 at 06:36 PM. 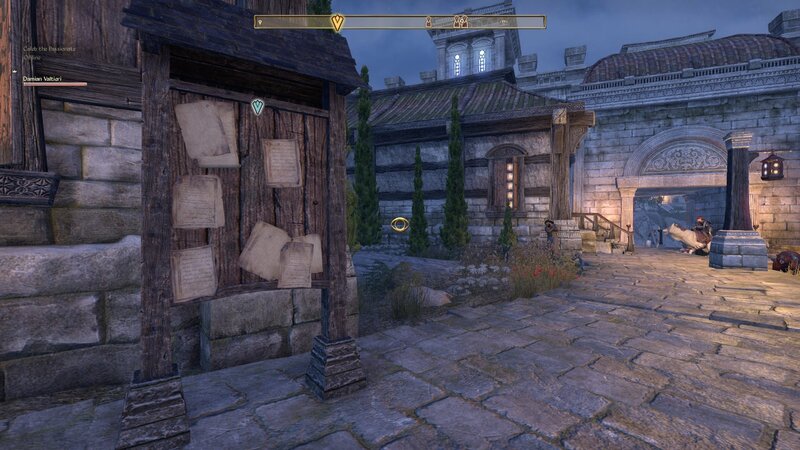 If you download the file you can drag and drop the OblivionStyleHUD folder into "Documents/Elder Scrolls Online/Live/Addons" folder it should work then. Since I do not know and I am not very familiarized with this whole process. I was intending to apply this amazing and incredible addon (since I saw it I felt in love) It doesn't work when I install it trough the minion manager. Is there a manual process in which I do not know?